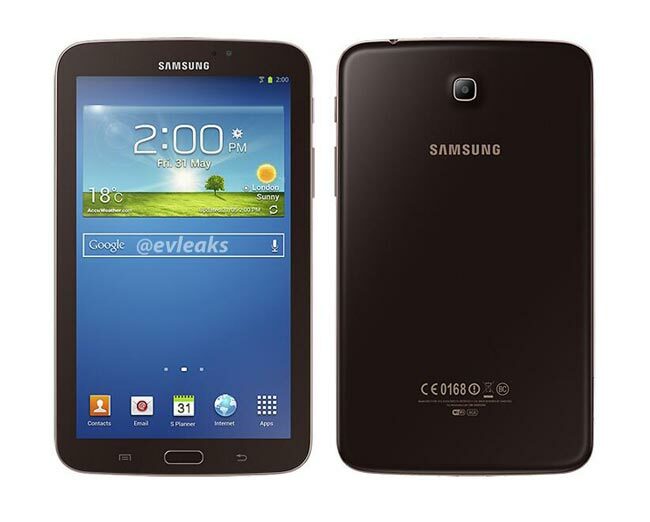 It looks like Samsung will be launching a new color of its Samsung Galaxy Tab 3 7.0 tablet, as a picture of a new gold brown version of the device has been posted online by @evleaks. The tablet will feature the same specifications as the existing device, which include a 7 inch WSVGA displays with a resolution of 1024 x 600 pixels at 169PPI, processing comes in the form of a dual core processor with a clock speed of 1.2GHz and it comes with Android 4.1 Jelly Bean. Other specifications on the Samsung Galaxy Tab 3 include front and rear facing cameras, up front we have a 1.3 megapixel camera for video chat, on the back we have a 3 megapixel camera for photos and video.